A tale of division, unity, and the efforts of three people trying to build bridges between the European settlers and Native tribes of Newfoundland in the 19th century. Inspired by an original Beothuk language dictionary written in 1819, and this post on the British Library’s Untold Lives blog: Mary March of Newfoundland. This story is based on a language dictionary in the British Library archives. The document looks like a small journal or diary and is one of only three surviving records of the language of an extinct tribe from Newfoundland called the Beothuk people. It is hand written and dates from 1818. There is a short prelude to the dictionary that details the tragic but heart-warming tale of a young Beothuk woman who tried to teach the European settlers some of her language. 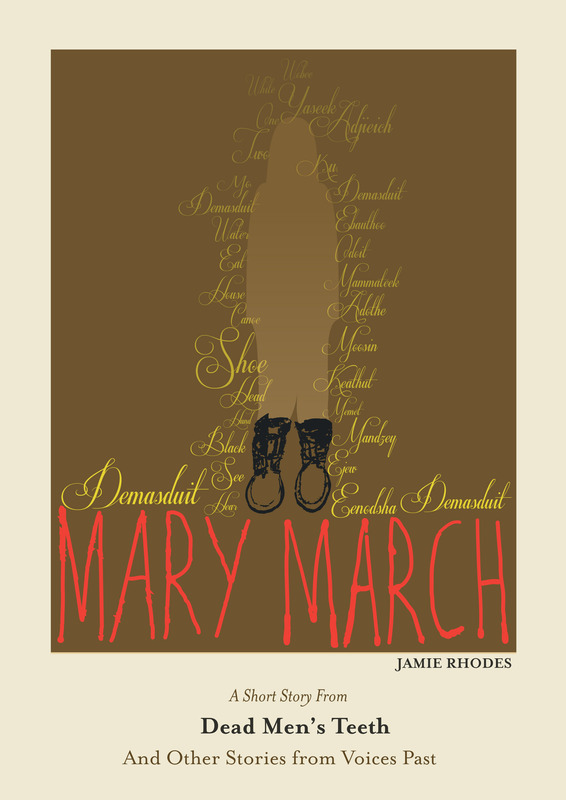 Her name was Demasduit, though the settlers called her Mary March. The original document is written in English and so there is an obvious bias towards the colonialist settlers. “The side of my husband’s head shattered outwards as the metal ball left his skull. A shower of blood coated the nearby trees, and left the snowy forest floor speckled red. His hunting knife fell from his hand and he dropped to the ground, severed from me. In that instant I felt incomplete. That little metal ball from the settler’s gun had reduced me.